Explanation: A small crystal ball seems to hold a whole galaxy in this creative snapshot. Of course, the galaxy is our own Milky Way. Its luminous central bulge marked by rifts of interstellar dust spans thousands of light-years. On this long southern hemisphere night it filled dark Chilean skies over Paranal Observatory. The single exposure image did not require a Very Large Telescope, though. 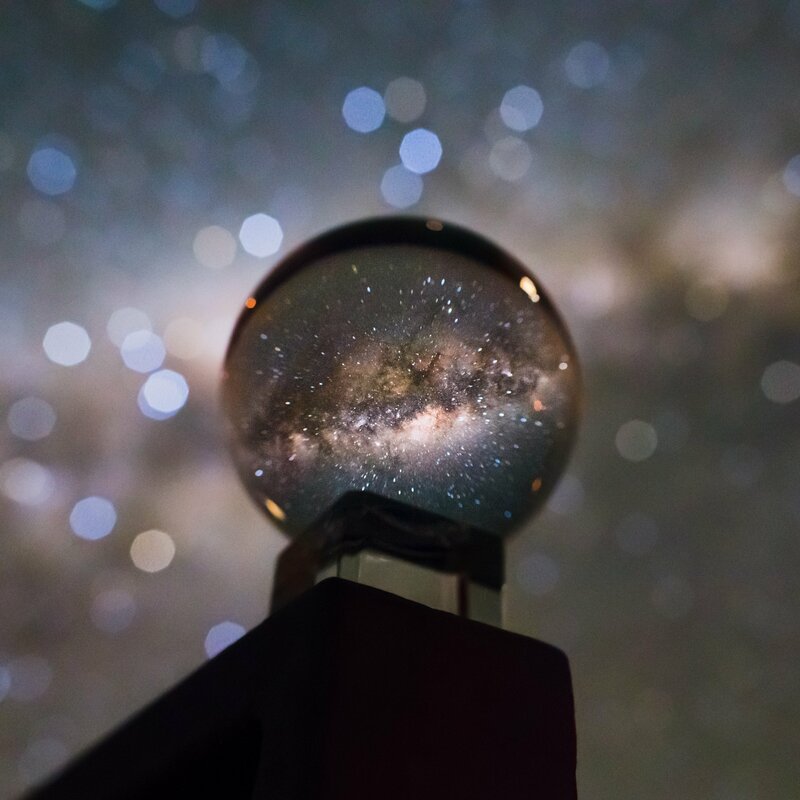 Experiments with a digital camera on a tripod and crystal ball perched on a handrail outside the Paranal Residencia produced the evocative, cosmic marble portrait of our home galaxy.